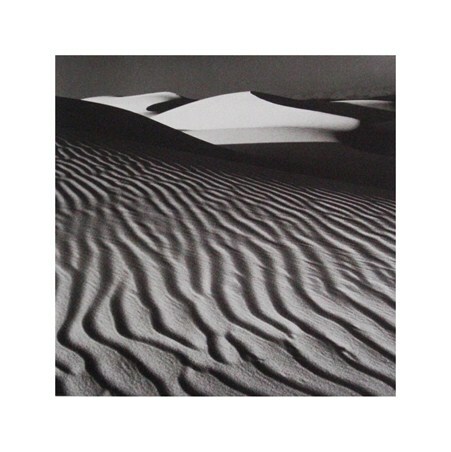 Black and White Photography Print: Hakan Strand is a Swedish photographer who was born in 1959 and currently lives in Stockholm. His portfolio of images spans everything from big cities to quiet country sides and they are all captured in black and white to give them a real impact. This stunning piece is called 'Buddha' and it focuses solely on the religious teacher as he sits tall upon the land with a peaceful backdrop of wispy clouds and soft sky. 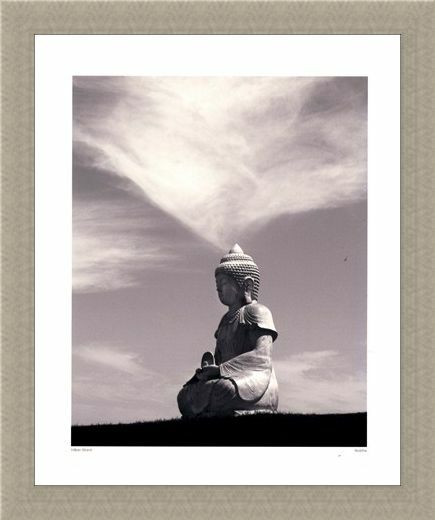 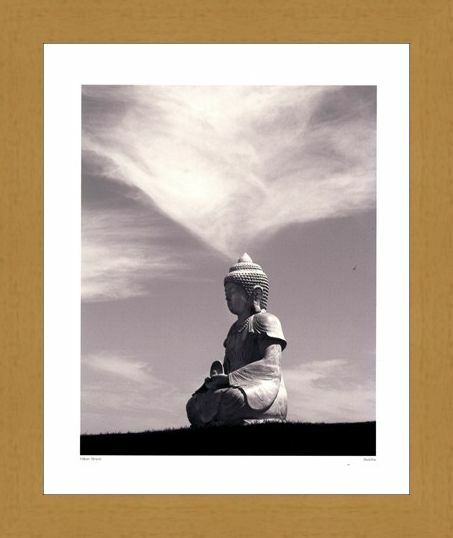 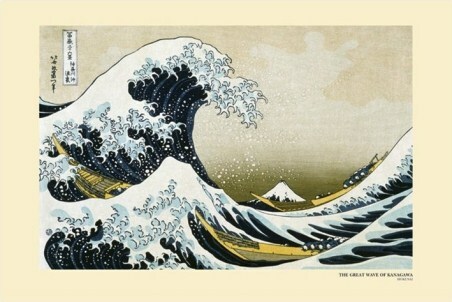 This high quality art print will make a serene addition to any home and it will lend a feel of spiritual clarity and knowing to your life as well as make for an exceptional piece of photography. 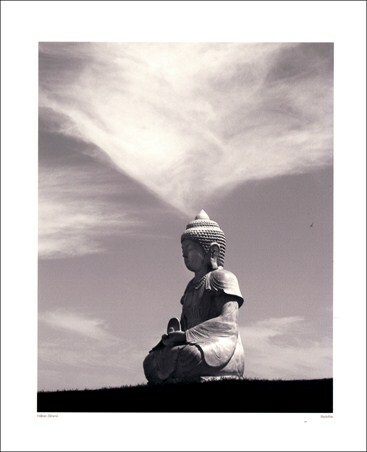 Whether you are practising the Buddhist religion or you want some fresh inspiration for your life, the work of Strand will certainly give you the boost you need. 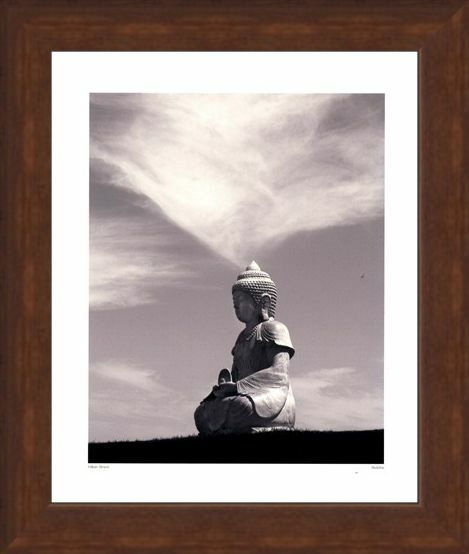 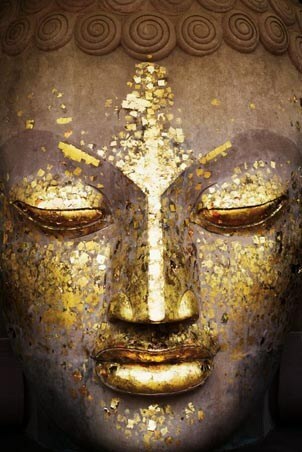 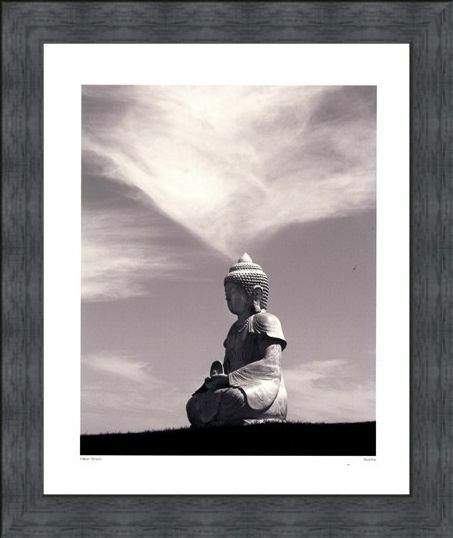 High quality, framed Buddha 2006, Hakan Strand print with a bespoke frame by our custom framing service.